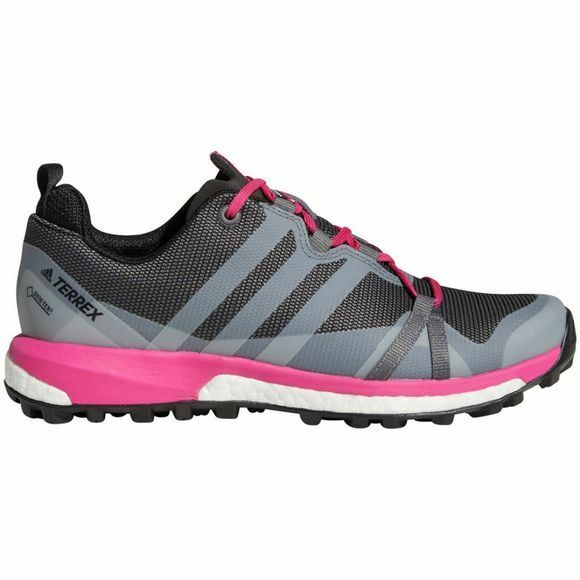 The Womens Terrex Agravic GTX Shoe from Adidas is light, fast and stable. 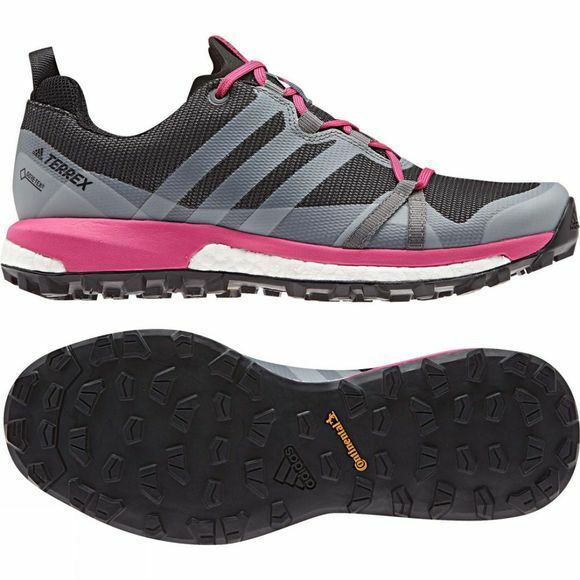 The trail running shoes give you the endless energy return of Boost to help you push your limits and conquer steep mountain trails. A waterproof and breathable GORE-TEX membrane keeps feet dry, while a grippy Continental Rubber outsole holds the trail with a smooth transition even in wet conditions.